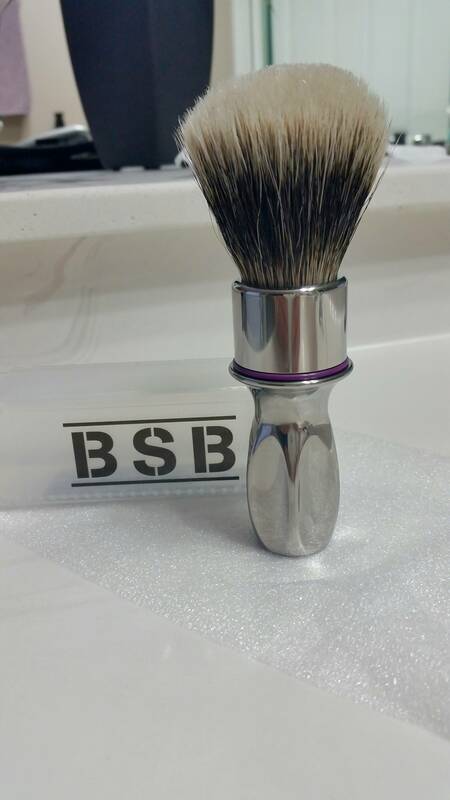 A moderator kindly asked me to share some photos of my recently acquired BSB Titanium brush. 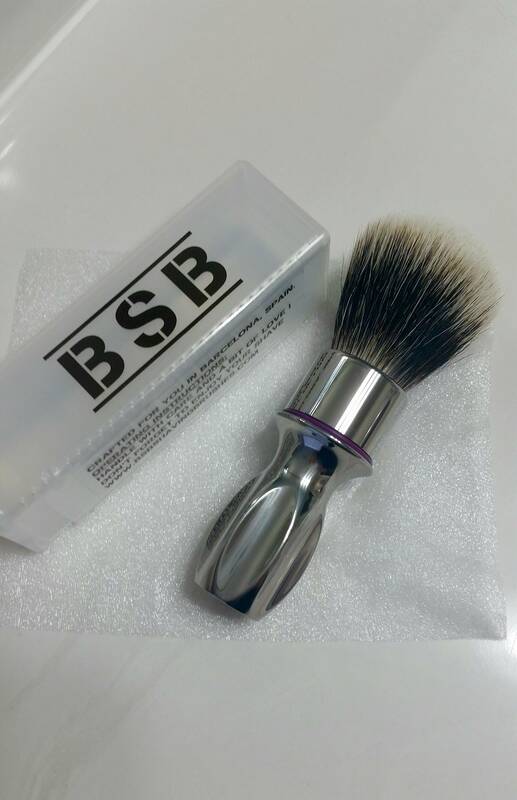 The brush has a HMW knot at 25x52. This is a beautiful brush made by Juan (Dr. Dulcamara) in Spain The knot was procured by Juan and it is a great knot. I have used it five times so far without shedding one hair. Enjoy. Looks great! How's the weight and its distribution in the handle? (12-16-2015, 03:42 AM)kwsher Wrote: That is a beauty! Thanks buddy It is one of those heirlooms that you just pass to the next generation.